The purpose of the tunnels discovered in Operation Northern Shield was to penetrate Israeli territory and kidnap and murder civilians and conquer the northern part of the Galilee, Prime Minister Binyamin Netanyahu said yesterday. 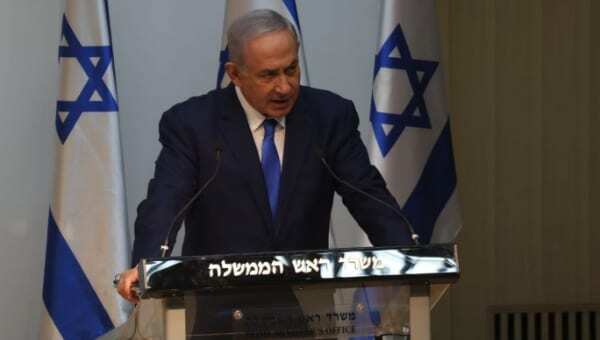 Netanyahu also said that Iran is behind Hezbollah’s aggression. “Hezbollah is doing this because Iran supports this. Is part of the Iranian way of aggression. hezbollah is committing a double war crime: is targeting Israeli civilians while hiding behind Lebanese civilians,“ he said adding that Israel expects Lebanon to take action and protest against the aggression. In his statement Netanyahu also urged the UNSC “to condemn Hezbollah act of aggression, to designate it as a terrorist organization, to press for sanction against Hezbollah and to demand that Lebanon stop allowing its territory to be used as an act of aggression and to support Israel’s right to defend itself”. The prime minister also called to the Lebanese people to fight Hezbollah members who are endangering also their lives. Lt. Col. Jonathan Conricus, the IDF Spokesperson for International Media, opened the press conference and said that the tunnel discovered over the weekend was excavated from the western area of the Shi’ite village of Ramiya and penetrated a few meters into Israeli territory. He added that in the recent years, a number of exceptional incidents were identified in the area which causes the suspicions that Hizbullah might attempt to implement its plans: abnormal elevation of rocks and the creation of new paths.